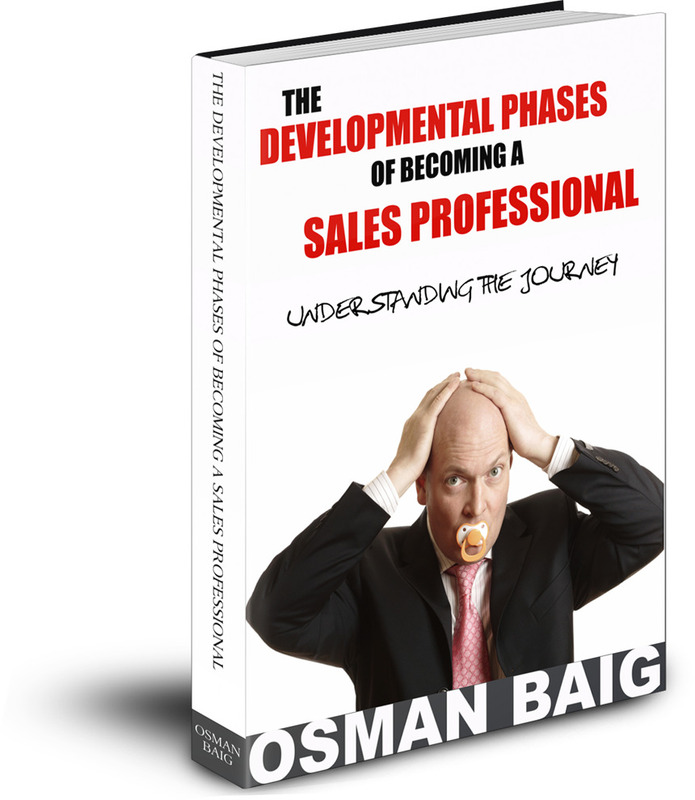 At this preliminary stage of development, which I refer to as the prenatal sales development phase, an individual has a realization that sales can be a potential path for them to pursue. The realization or consideration of this path plants the seed from which a potential salesperson could emerge. There are many possible reasons why this option became a choice including the availability of positions at the time when they started reviewing the market, the revenue potential, the recommendation of some one they know, the success of others, or simply a predetermined path they wished to pursue. The reason the seed was planted at this phase is not as important as the fact that it is now in existence. The longer-term impact will be reviewed in subsequent chapters. During my early years as a college student, I started looking for a job to generate some extra disposable income and initially never considered sales as an option. I had a predisposed perception that sales was not a profession nor a respectable path to pursue. At the time I was a student in my late teens with little work experience and I was continuously being turned down or overlooked for the “respectable positions”. The only follow ups I received were for sales positions which I had initially ignored but now as a result of my predicament became options to consider. Not an inspirational start to my professional career but this was one of the critical shift that put me on my path to becoming a sales professional. A physiological change comes into play as you widen your choice pool that starts a shift within your priority distribution across available options. The sales domain is a very broad and far reaching field and the number of possible directions seems endless based on industry and types of roles from inside to outside sales, account managers, and field reps to retail. To some this rapid influx of options and choices can be somewhat overwhelming. At this point a few will decide to forgo this pursuit as the number of choices is somewhat paralyzing while others battle the what-if scenarios and opportunity cost dilemma as they invest more time towards finding sales positions rather than within others areas. Those who continue on start investing more time to review potential sales positions with the associated requirements, expectation and begin aligning their current skill set with those desired within the marketplace. This practices helps to filter the types of roles for which they would be a potential fit and within their desired industries if applicable. This will also help build some foundational skills like persistence, focusing on higher potential areas, and effective time management in the future.